We've put together the best service providers in the industry to deliver the best technology solutions. 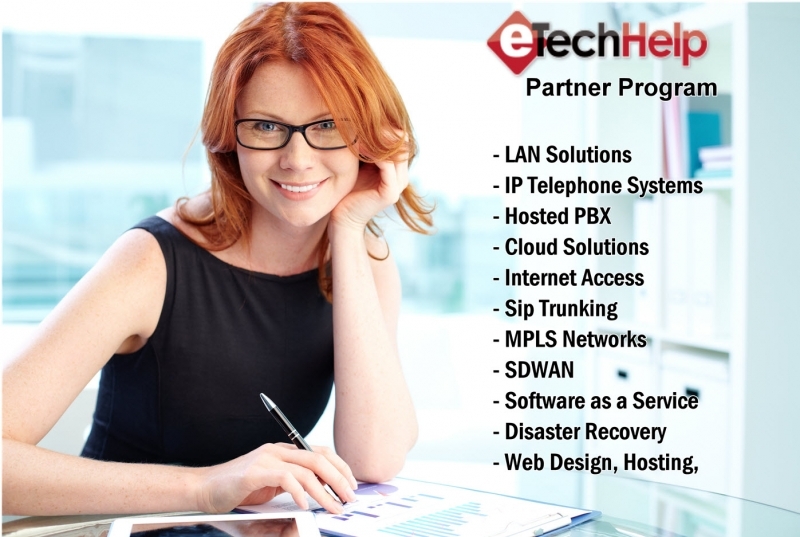 By aligning with a comprehensive global network of leading hardware, software, and managed service providers, eTechHelp offers a wide variety of proven, industry-standard technology solutions to solve real-world business challenges. Better yet, we provide full support for all the products we provide. All the products and services we offer go through a vigorous testing and certification process. Looking to create a revenue stream for you or your company? By partnering with eTechHelp as an official referral partner, you can offer our complete line of services to generate recurring revenue. You can become part of the team that brings our long list of solutions to your customers. Rich Tehrani, CEO of Technology Marketing Corporation, chats with eTechHelp Founder, Rich Garboski. Stay up with the latest in technology for your business by visiting eTech.TV. eTechHelp is a global technology consulting firm that provides outsourced advisory and consulting services to small and medium sized businesses. We are committed to helping businesses succeed by providing premium responsive consulting services while working within the constraints of a small business technology budget.